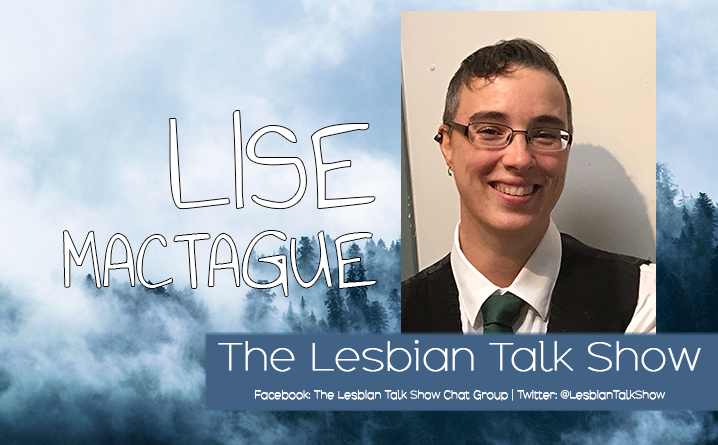 This is the profile of Lise MacTague, show host of Lez Geek Out and author of lesbian fiction. Most recently? Raleigh, North Carolina, but I’ve lived a bunch of places in the United States, and I was born and grew up in Winnipeg, Canada. Despite having lived in the US most of my adult life, I still consider myself a Canadian. Why this topic for a podcast? There’s a lot of book podcasts out there right now, but I like to find lesbians in every corner of media. I’m an avid reader, but I’m just as avid a consumer of comics, video games, TV shows, and to a lesser extent movies. We should be celebrating lesbian content wherever we find it, but I also think media tends to portray lesbians in a particular way. This is a venue to confront and deconstruct that. If someone is new to your podcast, how would you describe it? Lez Geek Out! is where lesbians can go to see themselves reflected in pop culture. 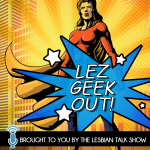 I’m always excited when I find new lesbian or bisexual geeky-type content, and I want to share that excitement with everyone! What kind of person will enjoy your podcast most? Those who love seeing women-loving-women depicted in positive ways in our media, whatever format that may be. What is the biggest reward of being a podcaster? It’s great to share a new obsession with someone. That I can chat with someone else who shares and understands that excitement is more meaningful than I gave it credit before I started. What is the biggest challenge of being a podcaster? Not getting dragged completely into a new fandom. I’m a bit of a completist, and if I’m not careful, I could get pulled into the world of whatever and no one will hear from me for weeks. Ask me about my Fallout geekiness, I dare you! What would listeners find most interesting/surprising/unique about you? I’m pretty boring in real life, to be honest. I’m a librarian, and I’m happily married with kids and cats to round out the family. Aside from that, I write, I do art and build things, and I play hockey. Where can fans find you online?